I am so pleased to have "Sunshine Blog" nominations from both Amy Bowker (@ClassCollect on twitter, blogging at http://classroomcollective.tumblr.com/) and Megan Valois (@MsValois on twitter, blogging at http://assessmentforlearning.weebly.com/). I had the opportunity to meet both of these amazing teachers at the Ottawa EdCamp - a PD event like no other. If you haven't been to an Ed Camp, I highly recommend it. I learned of the event through my twitter PLN, and decided to make the drive over to Ontario to check it out. I met some amazing people, and got some great ideas. I have continued to learn from both Amy and Megan, and I am involved in #cdnedchat as a moderator, so Megan and I talk weekly about all things education. They are #eduSuperStars! I have a dog named Butters, after the character from South Park. He's good-natured, sweet, and not all that bright. I love him like crazy. I've only ever met one person who has bigger hands than me. I have big mitts. Srsly. I absolutely hated public speaking until late into my high school career. It was my music program that taught me the confidence to get in front of a group of people and just be who I am. I'm actually a trained wilderness guide. I know how exactly what they guys in "Deliverance" did wrong, and I've even met some locals while paddling a river in Georgia (although they were incredibly nice and hospitable). I wear my sleeves rolled-up most of the time, because it's really hard to find shirts that fit me. No one with arms this long usually has a torso this narrow. I spent last summer working in landscaping. I was digging holes all day, and I really enjoyed it. I still have moments of terror when I'm about to speak to a group, whether its colleagues, students, or strangers. I'm just pretty good at faking confidence. I had, at one point, 10 piercings. I've since taken them all out, but I may get some done again. I'm not sure. I have a really hard time remembering names of adults. Students' names seem to stick more readily, but I'm terrible with names. I love snowboarding, and don't get onto the mountain nearly as often as I'd like. I taught it for several years, and I love getting out into the woods in winter. What’s your favorite thing about blogging or tweeting? I get to meet the most insipring people! I've connected with some very intelligent educatprs who are changing the world, and perhaps the most incredible thing is when I meet them in real life, they know who I am! I do hobby electronics in my spare time. I have soldering iron scars to prove it. Hmmm. I don't watch many movies, but if I had to pick one, it would probably be "The Big Lebowski." The dude abides. I lived in Whistler the summer after high school. Gorgeous country. Okay, I'm biased here because I moderate #cdnedchat, but I love it. Every Monday at 8 EST I get the opportunity to connect with some amazing people. Favorite educational website - person or product? That's a tough one. I really like Richard Byrne's Free Tech 4 Teachers blog. He's responsible for keeping me up to date on a lot of great things. As for my favourite educational person, that would have to be Tanya Avrith (@edtechschools on twitter) - she's an amazing whirlwind of energy, enthusiasm, positivity, and support. I can't image how differently things would've worked out for me had I not been lucky enough to meet her! There are so many to choose from! I think maybe the ability to read minds, so I'd know how people think and how to present information in a way that makes sense to them. I re-read the hitchhikers Guide to the galaxy over the summer. Fantastic books. Everyone has a story about that teacher who really made a difference. They said something or did something that meant a lot to you, or changed your life. I want to be that teacher. I substituted in a grade 11 math class for a week during March of my first year teaching. There was one student who wasn't really into it, and I asked her what was going on. She told me that she was going to drop math. I told her that just because it didn't work for her at this time, in this place, with these people, that she didn't need to give up on math. She could always come back to it. At the end of the year, I was back at the school, and she stopped me in the hall and told me that she was going to try to do the math exam, even though she'd dropped math! (Actually, I ran into her recently, and she remembered that I subbed in her class! It took me a while to connect the dots, but the next time I see her, I'll tell her that she's responsible for one of my proudest moments in teaching). I say off-the-cuff random stuff pretty regularly in class. I don't take myself too seriously, but I'm not sure what the funniest thing I've ever said would be. I have clenched my hands into fists of rage and yelled "MaAaAaAaATH!" at the ceiling, though. Does that count? What made you start blogging or tweeting? Who is the most impressive person you've met this year? What was the moment you knew that you wanted to teach? What was your best moment in a classroom? What was your worst moment in a classroom? Where is your dream field trip? How much wood would a woodchuck chuck if a woodchuck could chuk wood? How did a teacher make a difference for you when you were a student? What's the worst book you've ever read all the way through? Why open-source is changing the world. One of the aspects of technology on which I expound frequently is the ability to get technology to do what you want it to do, rather than to use technology to do what the technology creator envisioned. So what's the big difference there? I mean, the people creating the tools probably have a good idea of what they should be used for, right? iMovie is meant to edit movies. Google Earth is meant to be a "digital globe," isn't it? Yes and no. I'm all for using digital tools for their intended purpose. If they're designed well to do a specific job, chances are they'll be effective at it. To me, nothing surpasses Apple in this aspect - their tools are well designed, and do exactly what they say they'll do. I hate feeling confined. I'm not claustrophobic physically, but I think I'm a technological claustrophobe. I don't want to be penned in to only doing things I'm allowed to do. If I can think of something cool that I'd love a tool to be able to do, I want it to do it. Now. It's definitely part of the culture of instant-gratification in which I thrive, but there's more to it than just gimme now! As a creator, there is no possible way to imagine all the varieties of applications and uses for something. I've learned this lesson again and again as students creatively interpret assignments in different ways. It's something I encourage, and I try to build that accommodation into my evaluation tools. I want to evaluate the learning process, and I want my students to have the freedom to learn in new, unique and exciting ways. The more avenues of learning they explore, the more opportunity they will have to discover how they learn best (at least, in my own opinion). And this is where FOSS shines. Providing students new pathways of learning is along the same lines as providing users the opportunity to customize apps, add functionality, and explore and experiment. As Make Magazine put it in their Owner's Manifesto, "If you can't open it, you don't own it." I want students to own their learning. I want them to be able to explore, experiment, play. I want the freedom to do that with the tools I use, too. Ultimately, I want the freedom to be allowed to break things. I don't want a guarantee that things will always work perfectly, because in my experience, those guarantees are hollow and empty. Things do not always work perfectly. But I want to be allowed to get into the nitty-gritty details, to try my hand at adding, improving, or changing the way something works. Letting users determine their own experience of a tool requires a creator to loosen the reins and trust that the user will make improvements. And this, I think, translates into teaching in a direct way. As an educator, I often need to remember to "loosen the reins" and allow my students to create in new and unique ways. I need to encourage innovation, creativity, and enable my students to contribute their own voice to how learning happens. Which is why I try to live in an open-source way. I want to share what I do, how I do it, and how it works. Not because everything that I do is so wonderful - I know there's always room for improvement. What I'd like is to see my ideas spark something in others - whether it be my students, another teacher, or anyone, really. Someone who reads what I've written and thinks "Hey, that's a great idea. What if I..." Our culture is moving towards a place where ideas are no longer proprietary, but are as strong as the collective group who creates and improves them. By crowd-sourcing innovation, humanity will benefit. So loosen the reins, share what you're doing, and allow (and encourage) creative interpretations. Your life will be richer for it. Yesterday and today, I had the privilege to attend and speak at the Google Apps for Education Summit in Montreal, Quebec. A full weekend devoted to learning, connecting, collaborating, and sharing. After reflecting on the weekend, and obsessing about how I'm going to change things up in my classroom, here are some thoughts about what made this event the single most empowering, inspiring professional development event of my life. The culture at the event was warm, inviting, and positive. No matter who you were, what you knew, or how you felt before this event, I believe that every single participant felt the power of the culture of learning that permeated this event. Every single person, from the magnificent and inspiring presenters like Jenny Magiera (@MsMagiera on Twitter), down to the people I had a chance to get to know quickly from a passing comment in the hall, could feel the "Edu Love" (to steal a phrase from my own personal inspiration Tanya Avrith - @edtechschools on Twitter). It was a place where learning is celebrated, risk taking is encouraged, and failure is okay. Respect for ourselves, each other and our commitment to our profession was clear. You could see respect among attendees evident in the conversations, the smiles, and each session was about becoming better at what we do. Not just becoming better at teaching, but at reaching our students and leading them to discover and share our excitement about learning. Knowledge is a powerful thing, and encouraging students to believe that they can learn empowers them. I know I feel incredibly empowered this evening, thinking about all the new things I can now do, or new things that I've seen that I can't yet do, but I will be able to when the time comes to learn how. These are people who understand what the future holds. No, they're not clairvoyant. They won't pick tomorrow's lottery numbers or make a fortune in the stock market. They can see that the future will require people to be equipped with the techniques to adapt, to innovate, and to collaborate in new and exciting ways. If we want to teach those skills, we need to practice them, understand them, encourage them, and live them. Without a doubt, every single person that I had the opportunity to meet this weekend gets it. I don't mean buddies to go watch the game. I don't mean people who will "like" my status on facebook. My friends are not limited by where we live, what we earn, or how we look. I have friends who share my vision, my enthusiasm and my passion for doing the best we can. My friends have high standards. My friends are not content with the way things are. My friends see the way things could be, and they are working hard to create change in the world. My friends are sharing what they do, not for publicity, but out of a genuine desire to make education better. My friends are smart, creative, talented, funny, supportive, and unique. And my friends lift me up. They make me more than I would be without them. We need to keep doing what we're doing, because what we're doing will change the world. Pretty grand announcement, I know. But I truly believe this. By innovating, reflecting, and redesigning what education means and how it operates, we will give our students new tools for success in a new world. By thinking critically about what we do and how we do it, we can create change at the most fundamental and important level of our society: how we raise our children. Thanks to the EdTech Team for putting on a great event. I can't wait until the next one! To everyone who was at the event: keep tweeting, blogging, sharing, talking, and innovating. You are the change - be who you want the world to become. Here is a quick (a little over two minute) video that shows how I set up a daily math problem for my students. Be forewarned: this is fast! Don't be surprised if you miss a bit the first time around. Google Apps to Redefine your Classroom. Today at 3:00 pm, I will be presenting a session on using Google Apps for Education to redefine your classroom, as a part of the Google Summit in Montreal, QC. 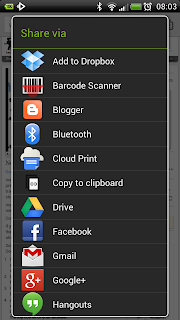 Since this event is all about how you can use Google tools to redefine what you can do with your students, I thought I would take advantage of some of the great Google Apps to share what I'm doing with the world. As an educator, I'm always learning new things, trying new tools, and looking at how they can meet my objectives. Above you'll see a Google Hangout On Air. Starting at 3:00, you'll be able to stream the session live. Once it's over, it will be posted to my YouTube channel as an archive. I encourage you to check it out if you aren't able to attend my session in person. The presentation is embedded below. This morning I presented a session on getting started with Google Apps for Education. Here are the slides from the presentation. Feel free to share! In preparation for the Getting Going with GAFE workshop at the Quebec Google Summit, I've put together a short survey. 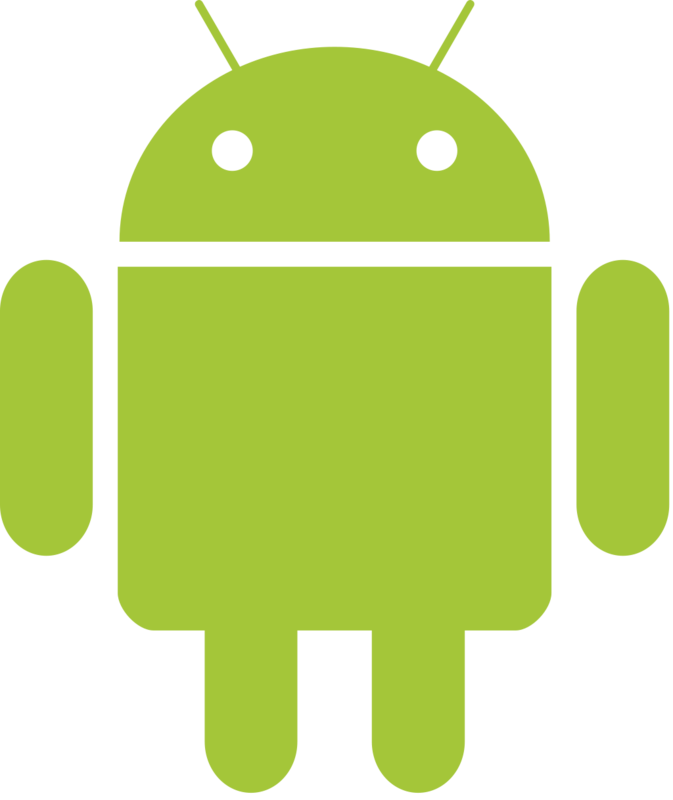 If you're coming to the session, or if you're just interested in getting an introduction to Google Apps for Education, please take a moment to fill out the survey. The session will take place at 10:00 am, next Saturday (December 7th). I'm looking forward to seeing you there! One of the professional tasks I often don't spend enough time doing is writing good, well-formatted lesson plans. Don't get me wrong: I have carefully planned, well thought out lessons, and I take the time to reflect on their efficacy and how I can change them in the future. It's just the way I work. However, I'm not as disciplined about writing nicely formatted lesson plans that include all the competencies from the Quebec Education Program, for students and for myself. It's not that I don't consider them - I just rarely get the time to copy and paste them into a formal written plan. I was much more disciplined when I was in teacher training than I am now. As a method of procrastination (and also to explore the potential of Google Forms and some Apps Scripts), I created a lesson plan builder. In a few simple steps, it will create a nicely formatted lesson plan, includes all the relevant text from the QEP, names it according to the same rules for each plan, and puts it into one place. One of my professional goals is to create and share, and encourage my students to do the same. I tout myself as a proponent of open-source (and anyone who reads this blog probably has already noticed that), and I want to put my money where my mouth is. I will use the tool to publish the lesson plans under the Creative Commons Attribution-ShareAlike 3.0 license in the hopes that other teachers will come across the plans, use them, change them, build on them, improve them, and share them again. That's my long-range goal. I've still got to figure out exactly how I want to go about publishing these using Google Sites. In the meantime, the lesson plan builder will automatically email a copy of the formatted plan in PDF to the email address of the author. It's a temporary solution, and I hope it doesn't keep anyone from using it. All plans created will eventually be published to the world-at-large. I've embedded the tool below. I hope you find it as useful as I do. This past week was a whirlwind of professional development for me and for many of my colleagues. On Thursday, we had a PED day with mini-sessions run by teachers within the school, covering website building, using Google Drive, and using iPads in the classroom. It was an outstanding day, and I learned quite a lot. I enjoyed myself immensely, and I believe it was a productive day. Friday was the annual QPAT teacher's convention downtown. I attended a few sessions, and it was interesting. It followed a more traditional model of professional development, in that an expert presented to a group of teachers. I know that I learned a few things that I will be able to implement directly into my classroom, but I also spent some time just listening to incredibly intelligent and well-informed people talking about the state of education in the world today. On Saturday, I had a unique opportunity. I went to Ottawa to attend an "ed camp." This was a new experience for me, and I wasn't sure what to expect. All I knew was that my twitter sphere was buzzing with excitement about the event, and it was being offered for free. Thus, with the mindset that I had nothing to lose and everything to gain, off I ventured to Ottawa. When I first arrived, I was a bit confused. There was a registration desk, I dutifully filled out my nametag with my name, my twitter handle, and a little self-description ("James, a huge Google nerd."). I looked at the activity board, and I was a bit concerned. There were several events posted for the first slot, a few for the second, but the third and fourth slots were looking kind of bare. This is the first big difference between a conference and an edcamp. The session board at the beginning of the day. Ed camps don't follow a set agenda that's published beforehand. Sessions evolve from what people are doing on the day. Everyone is invited to offer something, and topics cover a broad spectrum of interesting things. My first session was on the maker movement in education, and we had a great discussion, got to see a 3D printer in action. Since this is a topic that is close to my heart, I really enjoyed the opportunity to explore the situation today, discuss how it is affecting education, and what the future may hold for our students. Exciting stuff, and more than that, exciting people. The best part of the session was not seeing the 3D printer in action. It wasn't learning about the Maker Clubs. It wasn't taking notes about the resources available for teachers. It was meeting and connecting with amazing, intelligent, innovative teachers who had remarkable observations about the state of education and the impact of the maker movement. A unique feature of an ed camp is how it evolves as the day goes on. It started off excellent, and things improved from there. By the end of the day, the session board looked completely different - it was covered in topics that people had offered. And the atmosphere was lively, energetic and creative. People were talking. People were excited. People were engaged. More than that, people were co-creating knowledge. To my mind, this is the most appealing feature of an ed camp. It's a living thing, evolving, changing, and developing as it happens. In fact, one of the sessions I attended was how to host an ed camp! It hadn't occurred to me before, and here I was, talking with people who were just like me - individuals who were interested in approaching professional development in a new way. They had put in the time and effort to create this event, which was done on a minimal budget, and was accessible for everyone who was interested. An ed camp is a crowd sourced, open-source professional development event. By the end of the day, the session board was very different. I knew about self-directed professional development already. I'm a regular attendee of #cdnedchat on Monday nights on Twitter. I subscribe to many education blogs. I follow incredible teachers on Twitter, and I'm always learning. But I had never considered that you could open-source your PD in the physical world. It just didn't occur to me that you can put together an event like this. By the end of the day, the session board looked completely different. Overall, I had an incredible and inspiring day. In fact, I was so inspired by what I had learned, that when I came home, I completely trashed the work I had done for my Google Summit talk, and started from scratch. Not because what I had done was wrong, but because what I had learned was better. As a teacher, I am constantly learning. I am always looking for new ideas. I am willing to try new things. Perhaps most importantly, I am willing to take risks in order to innovate. I don't always have the best ideas. I don't always like what I try. I don't always succeed. But I'm always growing, and that, for me, is the key to being a good teacher. I use Google Drive for my documents, and I wanted to find a way to illustrate the overlapping nature of a Venn diagram. Specifically as it applies to greatest common factor and lowest common multiple. Having an empty shape would work, but using a coloured fill with a lower opacity helps illustrate that the items in the middle belong to both sets. 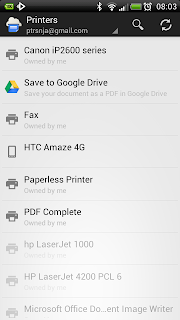 Happily, Google drive lets us do that. Here's a short video tutorial on how to set that up in a drawing. If you're in a Google doc, you can choose the Insert-Drawing option to put an editable drawing directly into your document. I recently published a tutorial on how I embedded a blog into a weebly page. 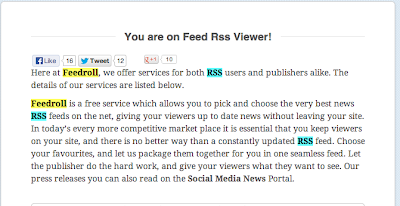 I wasn't happy with the RSS widget that weebly offers, and I have found a great tool called feedroll that generates the html code to publish the content of your blog, while still following the style rules of your weebly site. One of my favourite features of this method is that it blends seamlessly with the rest of your weebly site. Students (or viewers) likely aren't aware of the tools that are "behind-the-scenes" running the show. These tools have options such as scheduling a post to appear at a given time, embedding content like youtube videos or Google forms, and having everything in the same place. I have found it easy to repeat the mantra "check my weebly" to the point where students know it's the place to find everything. I will follow up this video with a tutorial on how I've been using Google forms and a couple of scripts to automate a daily math problem, including setting a time limit for responses, automating grading, and easily collating grades into a gradebook spreadsheet. I was asked a great question recently by a colleague. She has read about how I'm using Google Forms embedded in my blog for my students to do a daily math problem. I also have my students on Edmodo, and I occasionally give them quizzes and assignments through that. Her question prompted me to turn a critical eye towards my methodology. I thought about my learning objectives and my students' learning experience, and I've made a few conclusions. There are pros and cons for each method, and I'll attempt to list a few here. If you haven't yet read my posts on embedding forms and blogs into weebly, I recommend you take a few minutes to skim it over. Or you can just head over to my weebly site and take a look (although I've restricted the form component to members of my school board, so you won't be able to see that part). Google forms have a few distinct advantages that set them apart. They are incredibly easy to share: when I make a Form, it's easy. I can simply add others as viewers, commentators or authors. This allows easy reuse and remixing, and is totally in line with my teaching philosophy (of openness and collaboration). Edmodo doesn't have any way to easily share quizzes or assignments between teachers, and even their helpful workaround hasn't worked for me. 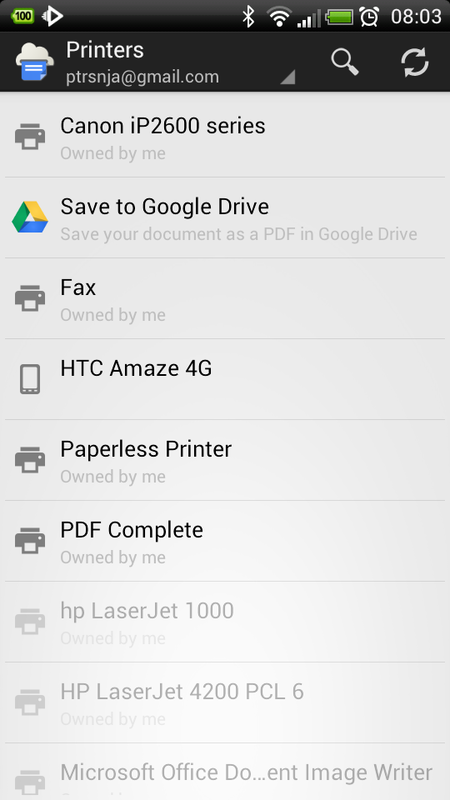 By installing scripts, you can augment the basic functions of forms and create powerful tools. I use formlimiter and flubaroo all the time, and there is no end to the number of scripts you can find. And if you're adventurous, you can even write your own scripts to customize what functions you want to automate. That may be a little beyond the average user, but the potential is there. 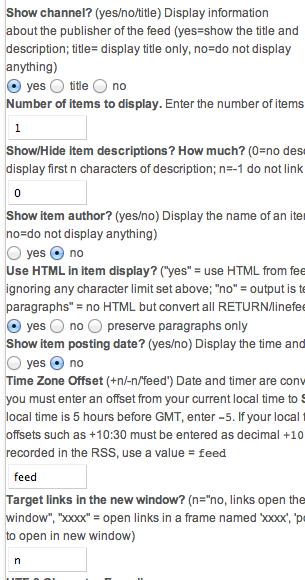 I use a script called formlimiter to automatically close the form to responses at a predetermined date and time. This works well, because the questions appear and disappear according to a schedule I've set up in advance. It's also very easy to work with the data collected by the form. Because it's in a spreadsheet, you can use all sorts of powerful commands to manipulate the data. Want to know the class average? Easy. Want to import the data into another spreadsheet? No problem. Want to find the entry for a particular date that matches a student's username? There's a command for that. Conditional formatting, sorting, and many other tools are available without the need to copy the data into another format. There are a few drawbacks, though. It can be time consuming to set up each form if you have to do a lot of them. I use them daily with my math class, and there's quite a bit of front-end and back-end work that students never see. Installing scripts, grading, and transferring grades into whatever gradebook you're using takes time. Which leads me to discuss Edmodo. The main strength of the Edmodo platform lies in its simplicity. Make a quiz, assign it, and you're good to go. Grades are automatically calculated (for multiple choice, matching and fill in the blank questions), and they appear in the gradebook. This also gives students formative assessment by giving them real-time data about their comprehension. It is easy for teachers to check the progress of the whole class or individual students. I really like the integration of the LaTeX markup language for math. It is easy to format questions that require complex math layout (such as exponents or integrals). Using Google Drive, the solution I have implemented is to embed an image of the math. This works, but it's not efficient and doesn't allow you to edit the math in-situ. But Edmodo doesn't facilitate sharing among teachers with nearly the same ease as Google Drive. I work with a few other math teachers, and we each have to create our own quiz when assessing our students. Right now, we are using a Google doc as a repository for the test questions and answers, which allows the easy real-time sharing and communication (I absolutely adore the comment functionality), but there is a lot of time wasted duplicating work. 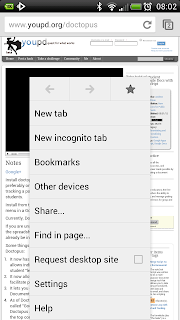 Edmodo also requires students to have only that one page of content appear in their browser window. Students can have other windows open with other content, and for most teachers this is a non-issue. However, I use an embedded form in the daily math blog, which lets students see the entire post - including the questions - all in the same place. It's a small difference, but I like that students can still see the big picture, or refer to earlier questions. Cumulative problem-solving (where a response builds on earlier answers) can be simplified, and reinforce the skills I want students to build. I often break a complex word problem into pieces, and it helps to have all the parts in the same place when it comes time to build on them. In conclusion, I use both Edmodo and Google Drive regularly in my classroom. Each has strengths that serve my students. Which one to choose is a result of my learning objectives for the activity. I'm the kind of person who just can't resist tinkering with something, and I love the ability to play with scripts, but I also tend to break things before I can improve them. This is part 2 in a 3 part series. You can read part 1 here. I recently posted an opinion piece about why I'm not an Apple fan. I think I'm taking a bit of a risk in publishing my opinion (which is somewhat unpopular among my circle), but in the interest of opening dialogue, I wanted to spark something. I know people who are devout Apple fans, and we can get into hours-long debates. Before I get to that, I want to explain myself a bit. I'm not aligned against Apple specifically. I have no grudge against people who are Apple proponents. I will happily agree with many of their arguments supporting their opinion. I'm also not a proponent of Microsoft. I haven't ever been. I have, for decades now, used their products, but always begrudgingly. I have no special love for Microsoft. I say this as I'm using a netbook running Windows 7 to write this post. My use of Windows is mostly a result of their success at market penetration. Since the beginning of personal computing, Microsoft has managed to maintain a strong foothold, especially on the operating system front. Most people think of Mac and Windows as two sides of the same coin: if you don't want one, you must choose the other. And I suppose that for most people, that's true. However, there is a third option. Linux is a free, open-source operating system. It has been built by people who are not looking for any monetary reward for their efforts. It has been improved by people who believe in open-source software. It runs on more platforms than any other operating system. It's fast, it's powerful, it's versatile, and it's free. But it's not marketed. No one has any vested interest in convincing you that it's the best choice. Those who choose to use Linux do so because they have made the choice to migrate to a platform that allows users to create, improve, and deploy new ideas without restriction. If all that sounds wonderful, then you might be wondering "Why doesn't everyone use Linux if it's so great?" The short answer is that it has a steep learning curve. Because it's different, people may be put off by the requirement that they learn a new way of operating a computer. And there are a lot of very smart people who use Linux, who may not have the most patience for "noobs." It is developer oriented, so installing software can appear complicated (many examples ask you to type "sudo git ..." in a command shell), but in reality, it's not too bad. Once you begin to get used to the way things are done in Linux (which is different from Windows or OSX), you might find that you prefer the way it works. And one of my favourite features of Linux is that you can run it from a USB drive without making any changes to your computer. It's like a test-drive with no risk! If you don't like it, just take the USB stick out and restart your computer, and everything will go back to the way it was before you started. don't fret. There are plenty of open-source software options that will run on Windows or OSX. I use Inkscape, Open Office, Audacity, and others. You may have noticed that I use images from Wikimedia Commons and Open Clip Art. These tools are amazingly powerful, and incredibly, they're free. Their creators have seen fit to allow others to use, modify and distribute their work with ideas (often with the only requirement being that you give them credit by listing them as a contributor). Free and Open Source Software (FOSS) shows up a lot in education, and for good reason. Another interesting fact is that a lot of the internet runs on open-source software. knowledge. In my opinion, the old way of viewing information and ideas as proprietary and closed is outdated. Allowing and encouraging reuse and modification of ideas will be humanity's most profound achievement. The information age has changed the way many of us look at how knowledge can be shared and improved, and I believe that as we continue to grow, we will gradually change the way we live to reflect this emphasis on sharing. A special thank you to all the open-source creators out there (especially contributors to Wikimedia Commons and Open Clip Art). I rely heavily on your work, and appreciate it greatly! This will be part 1 in a series. By splitting this into multiple posts, I hope to encourage dialogue. If you've got a counter argument against something I've written, please feel free to share it in the comments. I welcome discourse, and the opinions presented herein are solely my own. I have a deep, dark secret to confess: I'm not an Apple person. I've worked with many different platforms (PC, Apple, Linux and Android), and I've found a way that works for me. Way back when, I started with an Apple II E. Then a Macintosh Classic. I now have two computers running Windows 7, a netbook running Chromium OS, a few routers running Linux, an Android smart phone and an Android tablet. I have them all set up the way I like, and everything works well for me. Now that I'm teaching in a 1:1 program using MacBooks, I'm getting used to using OS X once again. I've had plenty of experience using Apple products (my first computer was an Apple II E way back when), and I've burnt through more than a couple MacBooks in my day. I'm perfectly comfortable using the Apple platform - it's just not my personal preference when making purchasing decisions. There are plenty of people out there who love Apple products. I get it. They're renowned for their software design and for their incredible marketing. I hear it all the time from colleagues and friends: "Apple stuff just works." Yes, it does. They've got a polished product that plays nicely with other Apple stuff. I've even got an Airport Express that I use to stream music to my stereo. Their innovation and implementation really can't be beat from a usability standpoint. I've heard all that before, and you'll get no argument from me. Apple is a closed ecosystem. Apple products work very nicely with other Apple products. Chances are, if you're running an all-Apple household, things work very well. However, getting Apple to work well with non-Apple can be tricky, and in many cases, I believe that people will likely prefer to just stick with Apple. I have many frustrating stories of my experiences trying to get Apple stuff to work well with my other devices. 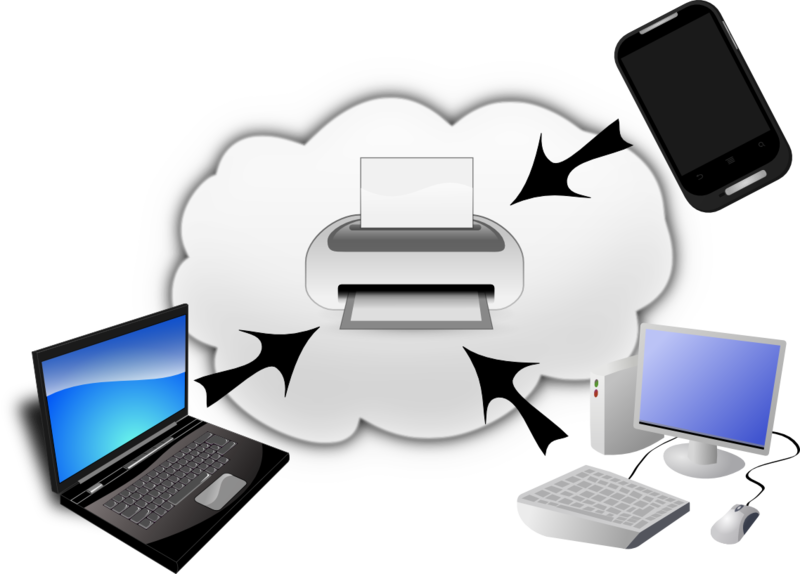 Backing up to non-Apple hard disks, connecting Apple wireless clients to non-Apple networks, managing Apple hardware from non-Apple hardware... The list goes on and on. It's just plain unpleasant to try to integrate a "cross-pollinated" household. In my own experience and my own opinion, Apple appears to prefer that their users stick exclusively with Apple products, and I understand the motivation. They want to ensure their customers have a good experience with the product. I have an older Airport Express. For those unfamiliar with the product, it is used as a wireless access point, but can also serve as a connection for wireless printing and streaming music through AirPLay. A great concept, and I absolutely love what it can do. However, it is old. I bought it in 2004, it runs 802.11b/g, and it's been used quite a lot. I no longer use it as an access point - its sole function is to stream audio. Apple has, with its recent updates to the Airport Admin Utility, disabled administration of this device. I'm not sure what the justification is, but having an old piece of equipment appears to be enough of a problem for Apple to actively remove the utility that allows it to function. I have no argument against this! I get that companies must eventually discontinue support for old devices. However, cutting off the ability to manage a device that's old just strikes me as engineered obsolescence - the purposeful rendering of a piece of hardware as obsolete based on its age. There is no link on their website to obtain the utility to manage an old device. I've still been able to use it, but not without carefully applying a workaround. Anything you want your Apple to do with other Apple stuff, there's a good chance it'll do it. Little configuration, easy to implement, and everything's up and running. But if you want to get your Apple stuff working with non-Apple products, chances are you'll have to jump through a few hoops to get it to do what you want. That's not unheard of - getting things to talk to one another when they're from different manufacturers can be challenging no matter what platform you're using. However, I've found that Apple stuff tends to be even more finicky than all my other tech products. And then there's the matter of my personal alignment with the open-source philosophy. Apple is, to me, the antithesis of open-source. They keep a very tight leash on what's allowed. This means that the quality control is high, but at the sacrifice of freedom to innovate. It can be difficult to develop products for Apple if you're not licensed (and it's expensive to get licensed). This effectively reduces the number of people actively developing new ideas on the Apple platform, and to me, that's an outdated business model. To conclude part 1, I offer this nugget of wisdom: if you're looking for something that will work as advertised, and you're not too concerned about going beyond what the manufacturer has envisioned, then by all means, go with an Apple product (if that's your choice). I promise I won't hold it against you. However, if you're like me, and you want to explore the potential of what your hardware could do, rather than just what is can do, then you might want to consider an alternative. I recently posted instructions on how to embed a blog into your weebly site. I wasn't satisfied with the solution, because it only displayed each post's title, and my students had to click on the link in order to see the post content. Not a big deal for most people, but I knew I could do better. So a little searching and some experimentation later, I've now managed to embed the blog post content seamlessly. It follows the same CSS formatting, so it blends in seamlessly. My students will likely have no idea they're looking at a blog - it looks exactly like any other weebly page. The benefit for me is that I can schedule posts ahead of time, and I don't have to publish the site every time I update the problem of the day. That's a big time saver for me, because I do this every day with my students. With this solution, I can set everything up ahead of time during a prep, and let the magic happen all on its own. 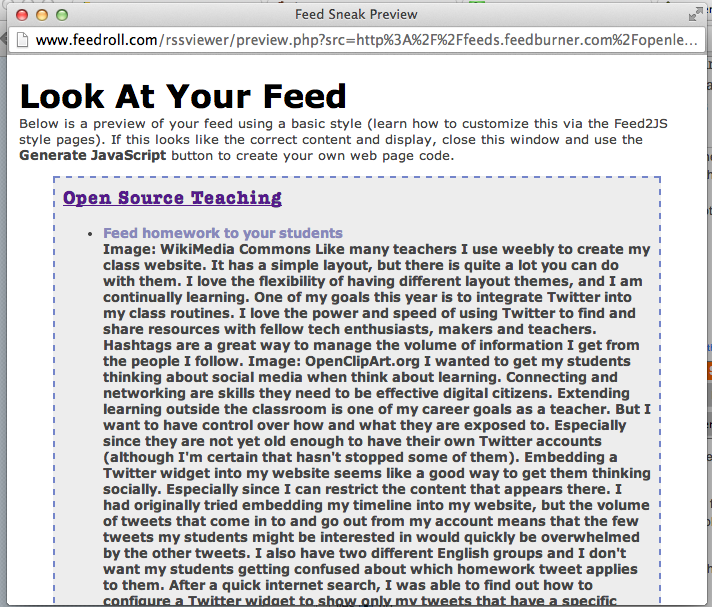 The tool I used is called feedroll. It is a simple web page that will generate html code to embed your blog's feed into your weebly site. It is a simple script that generates html code. You copy the code then paste it into an embed object on your weebly site. I have tested it with my students and it seems to work well. 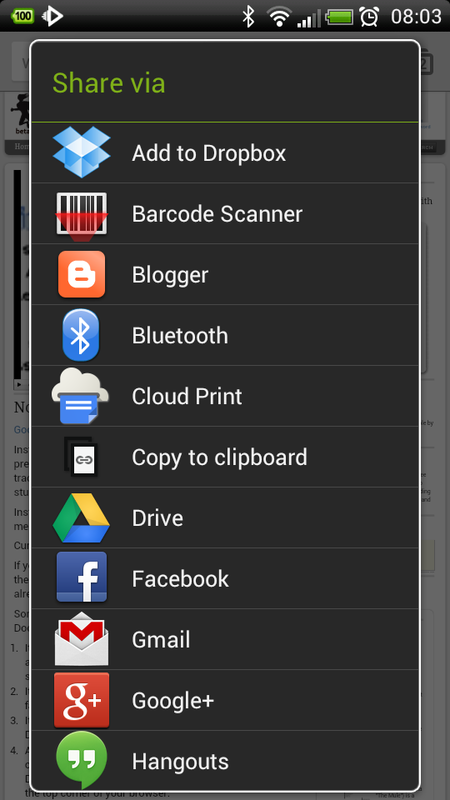 I have also checked the compatibility with mobile devices by looking up my site with my android phone, and it all works quite well. Overall, I'm very satisfied with this solution. First, you'll have to enter the URL of your blog into the FeedRoll tool, then click on "Look At Your Feed." You may need to tweak the settings or use a feedburner feed (instructions are available here). 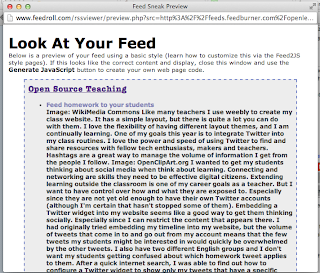 You should be able to see the content from your blog in the preview window. You'll now be presented with a block of code. Highlight the whole thing, and copy it, then paste it into an embed object in your weebly page. Now to take it even further! I use an embedded Google Form in each blog post to collect responses. There are a couple of scripts that I use to help configure everything ahead of time so that I only have to set things up once, then allow the scripts to do all the hard work. To install a script, create a form, and choose a destination spreadsheet. 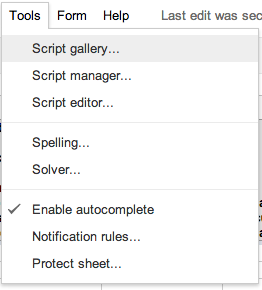 In the sheet, click on the Tools-Script gallery... option. There are two scripts I use. formLimiter is a tool that allows me to configure when to close the form to responses. Students have until 8 pm to answer the Daily Math Problem. In the script gallery, search for formlimiter, and click on the install button. Like many teachers I use weebly to create my class website. It has a simple layout, but there is quite a lot you can do with them. I love the flexibility of having different layout themes, and I am continually learning. One of my goals this year is to integrate Twitter into my class routines. I love the power and speed of using Twitter to find and share resources with fellow tech enthusiasts, makers and teachers. Hashtags are a great way to manage the volume of information I get from the people I follow. I wanted to get my students thinking about social media when think about learning. Connecting and networking are skills they need to be effective digital citizens. Extending learning outside the classroom is one of my career goals as a teacher. But I want to have control over how and what they are exposed to. Especially since they are not yet old enough to have their own Twitter accounts (although I'm certain that hasn't stopped some of them). Embedding a Twitter widget into my website seems like a good way to get them thinking socially. Especially since I can restrict the content that appears there. I had originally tried embedding my timeline into my website, but the volume of tweets that come in to and go out from my account means that the few tweets my students might be interested in would quickly be overwhelmed by the other tweets. I also have two different English groups and I don't want my students getting confused about which homework tweet applies to them. After a quick internet search, I was able to find out how to configure a Twitter widget to show only my tweets that have a specific hashtag. I picked the course number for each course that I teach, and I will use that hashtag to address the tweet to that specific group. Each widget search field looks like this: from:@jpetersen02 AND #mat106. One widget per group gets embedded into that group's page on my weebly site, and I now have an easy way to post homework updates to my groups. This year I am lucky enough to have a 1:1 group for both English and Mathematics. I have grandiose ideas about what I want them to accomplish this year (blogging, real-time collaboration, and so on) and concrete objectives (considering audience, working as a team). Classroom Management: students will follow the same procedure every day at the beginning of class. They come into the room, pull up the POTD and complete it. There is a clear understanding of how they should be using their time. Formative Assessment: their results will give me information about their understanding of the concepts covered. I will adjust my teaching strategies and give them feedback on a regular basis according to this measure of comprehension. Exposure to New Ideas: I have found that most math problems students work on in school do not reflect the reality of mathematics in everyday life. Problems in text books are often small, neat, and "cleaned up" to have nice solutions. Real-world mathematics often does not reflect this. I intend to slowly introduce more challenging questions that are based on real-world scenarios. There are three tools I am using for this: Google Drive, Blogger, and Weebly. I haven't yet migrated to Google Sites, but I imagine that in the future this will ease the integration process. I will post an update when I have tried it out. Clearly I like Blogger (it's where this blog is hosted). I'm fluent in how the site works, and it's tied to my Google Apps for Education account, so I only need to click on the App in my Chrome Browser, and it opens everything up nicely. This is where I begin the process. I write a short post with the necessary supporting information that the problem will require. I also often include a small visual (generally from WikiMedia Commons) to aid understanding.